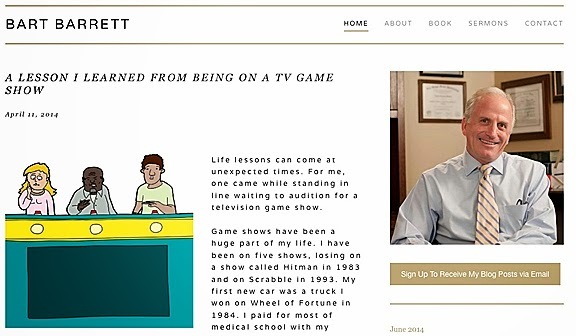 I was pleasantly surprised to see "Nervous Game Show Contestants" featured in a blog article by Dr. Bart Barrett. He writes about religion and medicine. It's quite a good article too. Thanks Dr. Barrett! Hopefully he'll give me a credit for it!